Joel Butler (Dominican Republic, 1980) is currently working as Visual Arts Curator and Exhibitions Coordinator at Centro León in Santiago, Dominican Republic. With a background in photography and graphic design, he has undertaken curatorial studies and practices since 2014. 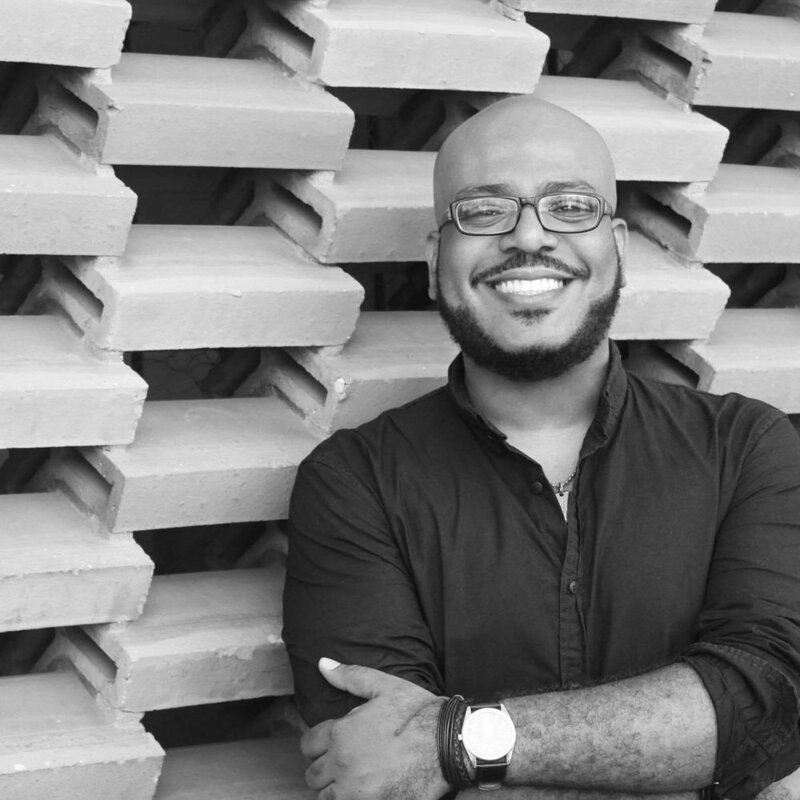 He is an alumnus of the Curando Caribe program for curatorial studies developed in 2015 between Centro León and Centro Cultural de España en Santo Domingo. 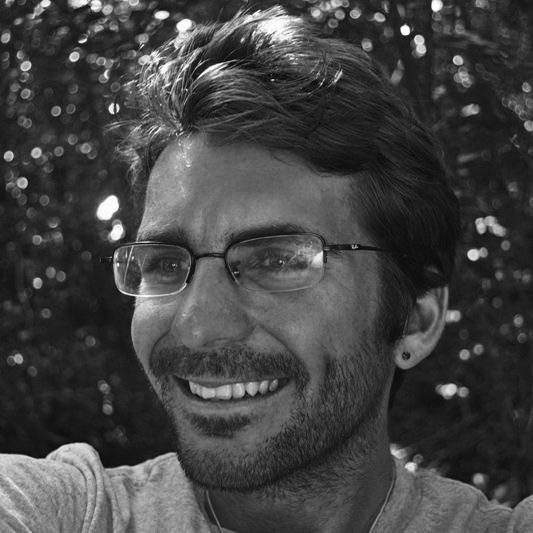 Joel is part of the professorate of the Diploma Degree in Contemporary Art Production and Management at La Escuela de Diseño Altos de Chavón and has also taught short courses in art appreciation, creative thinking and photography. Visual artist Annalee Davis works around issues of post-plantation economies by engaging with the landscape of Barbados where she lives. Working at the intersection of biography and history, she has been making and showing her work regionally and internationally since the early nineties. Annalee is the founder and director of Fresh Milk, a socially engaged arts platform and micro-artist residency programme on a modern dairy farm, which historically operated as a sugarcane plantation from 1667. In February 2015 she co-founded the independent Tilting Axis Conference, an attempt to breach the geopolitical gap between Caribbean territories and reconnect them through alternative forms of critical Caribbeanness and visual arts. She is the co-founder of the annual regional residency programme, Caribbean Linked, and part-time tutor in the BFA programme at Barbados Community College. She is on the board of ARC Magazine and worked as the Caribbean Arts Manager for the British Council from 2016 - 2018, developing arts programming in Cuba, Jamaica and Trinidad and Tobago. She is an independent Caribbean arts consultant. Claire Feeley joins Jupiter Artland as our new Head of Exhibitions and Audience Development. A writer, producer and curator, Claire has devised exhibition projects, curatorial programmes and public artworks globally through her roles at British Council, the Barbican, Oslo Pilot, Folkestone Triennial, Situations and the Serpentine Gallery, as well as independently through self-initiated platforms. She is most known for her unique approach in supporting artists to realise major artworks – ambitious either in scale, duration or through collaborative models of community co-commissioning. Previous curatorial projects include Katie Paterson’s Future Library, a 100-year-long publishing project in Oslo; Michael’s Sailstorfer’s commission for the Folkestone Triennial, where the artist buried gold on an unmarked beach; Theaster Gates’ Sanctum, which saw the people of Bristol sustain an unbroken performance for 552 hours, Annika Kahrs’ A Concert for the Birds, where 100 songbirds performed in concert with piano-players and The Art of Dissonance, an exhibition project exploring histories of social protest presented in Seoul, Korea. Marina Reyes Franco (b. 1984) is an independent curator living and thinking from San Juan, Puerto Rico. She received a BA in Art History from the University of Puerto Rico and a MA in Argentine and Latin American Art History at IDAES-UNSAM in Buenos Aires, Argentina. Her master's thesis expanded the notion of politically motivated art and literature in 1970’s Puerto Rico, as evidenced by gestures, performances and publications that’ve had an unrecognized yet lasting impact until the 2004 San Juan Poly/Graphic Triennial.She is co-founder and former director of La Ene, a museum-as-project in Buenos Aires. Recent curatorial projects include: "Watch your step / Mind your head" ifa Galerie-Berlin; co-curating The "2nd Grand Tropical Biennial"; in Loíza, Puerto Rico; “Calibán,” a selection of Puerto Rican contemporary artists at the Museum of Contemporary Art in San Juan (2014) and co-curating “Sucursal,” an exhibition of the collection of La Ene, at the Museum of Latin American Art in Buenos Aires. As curator and researcher, she has focused on the work of Esteban Valdés, artistic and literary manifestations on the frontier of political action, new museology, and the impact of tourism in cultural production in the Caribbean. She received the 2017 CPPC Travel Award for Central America and the Caribbean, and was nominated for ICI’s 2014 Independent Vision Curatorial Award. Giscard Bouchotte is an independent exhibition curator, critic, and social entrepreneur. In 2011, he curated the Haitian Republic's first Pavillion at the Venice Biennale with the exhibition Haiti Kingdom of This World (France, Italy, USA, Martinique, Haiti). His most recent projects include Périféériques, a travelling project exploring new artistic and social practicies in peri-urban spaces (Benin, Senegal, Haiti), and the Nuit blanche in Port-au-Prince, a plea for artists to be engaged in urban initiatives. His essays have appeared in Holland (Who More Sci-Fi Than Us? exhibit) and the US (Smithsonian, Biennals and Art Practices in the Caribbean). In Haiti, he develops workshops and has curated photographs by emerging artists in the Comoros Islands, and Guyana. He works with international public and private institutions in the Caribbean. Bouchotte has also produced and directed three films, Africa Left Bank (2006), (Sarah&#39;s Dreamed Life, (2007) and Tap Tap Chéri (2017). He has assisted French filmmaker Claire Denis (and acted in her 2008 35 Rhums), and French filmmaker Charles Najman. Dominican architect, researcher and educator. Holds a Master in Advanced Architecture from Berlage Institute, The Netherlands, and a Graduate Diploma in Museum Studies at Harvard Extension School, USA. He is also alumni from the curatorial studies program Curando Caribe. He is an active member of DoCoMoMo Dominicano, Erwin Walter Palm Foundation and ICOM. His work has been published extensively and is presently a columnist and member of the Editorial Board of Arquitexto Magazine while collaborating in other editorial projects. Along with his independent curatorial practice, he is currently general coordinator and museographer at the Museo Fernando Peña Defilló, a private museum at Santo Domingo. Since 2009 he is an adjunct professor at the School of Architecture of the Universidad Iberoamericana – UNIBE and since 2016 a International Academic Leader at Instituto Tecnológico de Monterrey, México. He has taught and lectured at Universidad Piloto de Colombia (Bogotá), Pontificia Universidad Católica de Puerto Rico (Ponce), the AA Haiti Visitng School (Port-au-Prince) and Universidad Nacional Pedro Henríquez Ureña (Santo Domingo). He is principal of Archipiélago, an interdisciplinary and collaborative platform focused in Architecture, Academia, and Art & Cultural Management. Arquitecto, investigador y educador dominicano, cursó un Master en Arquitectura Avanzada por el Instituto Berlage, Holanda y un posgrado en Estudio de Museos en la Universidad de Harvard, EEUU. También es egresado del programa de formación de curadores Curando Caribe. Es miembro activo del DoCoMoMo Dominicano, la Fundación Palm Inc. y el ICOM. Su trabajo ha sido ampliamente publicado y en la actualidad es articulista y miembro del comité editorial de la revista Arquitexto y colaborador en otros proyectos editoriales. Actualmente es coordinador general y museógrafo del Museo Fernando Peña Defilló y Director de Archipiélago, una plataforma multidisciplinaria y colaborativa involucrada en proyectos de arquitectura, academia y gestión cultural. Desde el 2009 es profesor adjunto en la Escuela de Arquitectura de la Universidad Iberoamericana –UNIBE- y desde el 2016 es Líder Académico Internacional en el Instituto Tecnológico de Monterrey, México; además, ha fungido como profesor invitado en la Universidad Piloto de Colombia (Bogotá), Pontificia Universidad Católica de Puerto Rico (Ponce), AA Haiti Visitng School (Port-au-Prince) y la Universidad Nacional Pedro Henríquez Ureña (Santo Domingo). Ha sido galardonado con distintos premios de investigación, becas y reconocimientos, destacándose recientemente en el Premio Nacional de la Juventud 2018 en el área de Desarrollo Cultural. Gean Moreno is Curator of Programs at ICA Miami, where he founded and organizes the Art + Research Center. At ICA, he has also curated exhibitions dedicated to Hélio Oiticica and Terry Adkins, and is working on forthcoming projects with Larry Bell and Paulo Nazareth. He was on the Advisory Board of the 2017 Whitney Biennial and is an advisor for the upcoming Creative Time Summit. He serves as co-director of [NAME] Publications. Between 2014-2016, Moreno was Artistic Director at Cannonball, where he developed pedagogical platforms and public commissions. He has contributed texts to various catalogues and publications, including e-flux journal, Kaleidoscope, and Art in America. Historiadora y crítica de arte, profesora e investigadora. Su vida profesional comenzó en el Instituto Superior de Arte de La Habana como profesora de Estética y Crítica de Arte desarrollando una labor académica y teórica importante en el fenómeno conocido como Nuevo Arte Cubano. salida de Cuba en 1998. A su llegada a Ecuador, donde actualmente reside, se vinculó al CEAC ( Centro Ecuatoriano de Arte Contemporáneo) donde fungió como directora del Catálogo de Arte Contemporáneo Ecuatoriano. Fue del equipo fundador del MAAC (Museo Antropológico y de Arte del Ecuador) y directora de Investigación para el área de arte del MAAC . Fue curadora principal de esta institución dirigiendo el equipo curatorial para la revisión histórica de las colecciones del Banco Central del Ecuador. También fungió como curadora de la reserva de arte moderno y contemporáneo del Museo Municipal de Guayaquil, trabajando en el programa de curadurías históricas de dicha institución. Ha ejercido la docencia en varias universidades del Ecuador Fundadora del ITAE ( Instituto Tecnológico de Artes del Ecuador) donde ocupó el cargo de Directora del Departamento de Investigaciones. aparecen en antologías, catálogos, complilaciones y revistas varias. Fue curadora de la pasada edición del Nuevo Premio Mariano Aguilera y miembro del Comité Técnico y Jurado de la Bienal Internacional del Cuenca. Monica Marin is a curator, social artist, educator and arts administrator from the Virgin Islands. She has degrees in Art History, Theory and Criticism; and Painting & Drawing from the School of the Art Institute of Chicago. She founded the Artist Advisory an artist led initiative for the Caribbean Museum Center for the Arts (CMCArts) in 2006, and worked as the first residency coordinator at the Robert Rauschenberg residency in Captiva, FL. She has exhibited her work in the Caribbean, the USA and Europe and participated in such exhibitions as the International Caribbean Triennial, Santo Domingo and Contemporary Art from the American Caribbean at the School of the Museum of Fine Arts, Boston. Her work and research addresses the structural history of colonialism and the ways in which coloniality is manifested today through tourism, environmental racism, disaster capitalism, land grabs and the privatization of public land. Many of her projects examine the missing African-Caribbean history in the archive, and dance and vernacular cultural expressions as a space of resistance. Recent curatorial projects include Rebirth of the Spirit a group show that addressed the aftermath of the devastating 2017 hurricane season in the Virgin Islands, the production of For Gowie the Deceitful Fellow performed and written by collaborator Oceana James as part of the Unfinished Histories conferenceand Blindspots exhibition in Denmark, Invisible Heritage a traveling group show that featured Virgin Islands artists who critically engaged the 2017 centennial transfer to take back the colonial narrative to offer a Virgin Islands perspective, as well as the Invisible Heritage ongoing community arts project in Frederiksted, St.Croix in collaboration with CHANT that has been awarded grants from ArtPlace America, NEA Our Town and others. Past curatorial projects include Take 5 in collaboration with Carla Acevedo-Yates and producer Alaina Simone, Migrating Histories a two part performance festival in collaboration with Carla Acevedo-Yates at CMCArts; The Great House: A Reimagining of Power, Place and History, in collaboration with La Vaughn Belle at Whim Great House on St. Croix; and Paradise Lost at CMCARTS and AREA Lugar in Caguas, Puerto Rico that examined the negative environmental impact as a result of US industrial development and capitalism in both regions. She works for the VI Department of Public Works as a grant writer for historic restoration projects that promote arts and culture and works as an independent curator helping to run CMCArts artist in residency program, many of their exhibitions, programming and community outreach. Mario A. Caro is a researcher, curator, and critic of contemporary art, having published widely on the history, theory, and criticism of contemporary Indigenous arts. He is currently a lecturer in the Art, Culture, and Technology Program at the Massachusetts Institute of Technology. He is also an honorary board member of Res Artist, an international network of art residencies with headquarters in Amsterdam and Melbourne, where he was president for eight years. His work within the academy complements his endeavors within various arts communities to promote global cultural exchanges. Nora Naranjo Morse is a Kha P’o Tewa Indian from Northern New Mexico. Nora comes from a large family of potters, stone carvers, educatorsm and dancers. She is a sculptor, writer, and producer of video films that look at social changes within Pueblo culture. An artist best known for her work with installation exhibits and large-scale public art, Naranjo Morse often returns to clay to create. Beyond Santa Fe, her work can be seen at the Heard Museum in Phoenix, the Minneapolis Institute of Art, and the National Museum of the American Indian, Washington, D.C. Nora is the author of the poetry collectionMud Woman: Poems from the Clay, and a children’s book entitled, Kaa Povi’s First Clay Gathering. In 2007 Naranjo Morse was the recipient of an Honorary Doctorate degree from Skidmore College. In 2017 Naranjo Morse was awarded the Spirit Aligned Leadership Program fellowship from the NoVo and Rockefeller foundations. Nora lives on Kha P’o tribal land in an adobe home she helped build 30 years ago. Using clay, discarded, materials, and light, Naranjo Morse has been creating installations that look at cultural and environmental concerns in our Indigenous communities. Nora’s most recent project entitled, “Remembering” uses highway billboards to message indigenous values using words and images. Each billboard is site specific and located near tribal lands where culture and environment are at risk. Co-founder of Beta-Local, in San Juan, Puerto Rico, a non-profit organization that supports aesthetic practices and critical thinking. 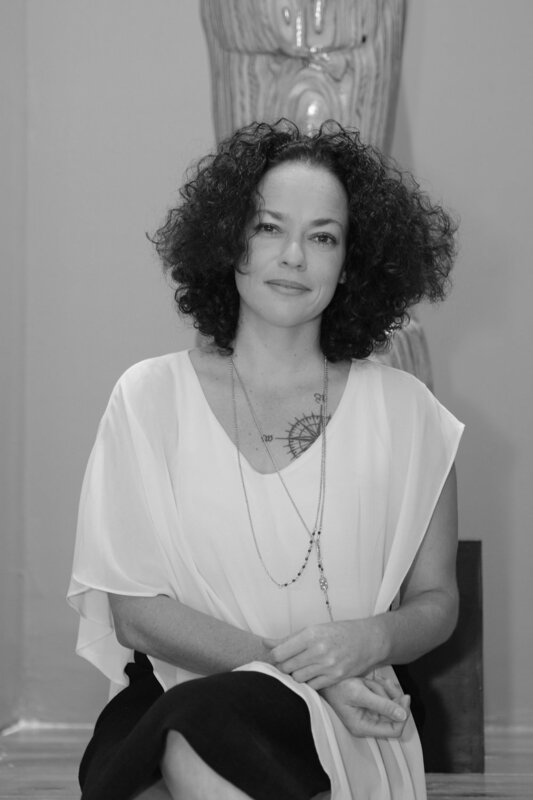 From 1999 to 2005, she directed the M & M project, an alternative non-profit space dedicated to strengthening the production of contemporary art in Puerto Rico and its international promotion. She was the creative director of the Puerto Rico events '04 [Homage to the Messenger], Puerto Rico '02 [En Ruta] and Puerto Rico '00 [Parentheses in the City]. As part of the space, she created a workshop for local residents and international artists. He has organized exhibitions at the Joan Miró Foundation, Barcelona; Ex Teresa, Mexico; Museum of Modern Art of Santo Domingo; and the Museum of Art of Puerto Rico, among others. Her work has focused on using the multiple layers and relationships of the creative field as a tool to think, rethink and live, in order to create a critical dialogue space that can be used as a bridge to establish relationships with other fields and places. She believes that creative and aesthetic thinking is essential for healthy social change. From 2005-07, Marxuach took a gap year in the field of contemporary art to dedicate himself to the restoration and design of a historic structure in Old San Juan. Her curatorial practice establishes a forum for dialogue and camaraderie among artists, where projects are discussed and enhanced beyond traditional exhibition spaces. Curator, cultural manager and writer. In virtue of having participated in Curando Caribe I, he contributed in the professional team of the 26th Concurso de Arte Eduardo León Jimenes in the dimension of criticism and research, and is the current curator of the main exhibition of the 29th Bienal Nacional de Artes Visuales, working with the honored artist Orlando Menicucci. He coordinates programs and contents for some of the most prominent cultural spaces in Santo Domingo and publishes in various specialized media. Currently, he is programming director and curator of Casa Quién Gallery and his exhibition "Colirio. Prácticas estéticas que acercan" is open until June 23 at Centro Cultural de España en Santo Domingo. Nicole Hernández-Alvarado is a Dominican born and based artist. Formally educated in Fine Arts at Chavón School of Design (2014), and later majored in Sculpture Studies at San Francisco Arts Institute (2016), San Francisco, CA. Her work studies the connection between the construction of sites/cityscape and failure as a masculine discourse, using materials and forms that also relate to the body. After participating in Curando Caribe 2, she became interested in accompanying other artists on their art production as to highlight the process, documentation and engage in dialogues with the pieces. Currently working with three artists in her curatorial project Temporal, which highlights the “time” of the process of creation instead of the space where it is shown or created. Managua, Nicaragua. 1977. Cultural manager, independent curator, designer y graphic artist. Advertising and communications graduate from APEC University, Santo Domingo. For 5 years he was co-curator of the Modafoca Gallery (2005-2010), a space for emerging art, focused on graphic design, illustration and photography, where he developed different exhibitions for local artists and art related events. Together with Maurice Sánchez and Ian Victor he co-curated “Tipicográfico” exhibition in the year 2009, a meticulous documentation of the popular Dominican graphic esthetics. He has recently carried out public art curatorial projects such as HOY - Santa Bárbara, an urban art festival held in 2015 in the Colonial City. In the last three years he’s been exploring with furniture design under his brand La Buena Fe. He’s been also part of the urban art community with his art partner Ian Victor, best known as the art collective ‘Modafoca’, working together in some murals in public and private spaces, where they had the opportunity to paint walls for Centro León, El Sendero del Cacao, Arte Sano Project, and in many locations on the Dominican Republic and Puerto Rico. the artists Lizander Jiménez, Madame Blanco and Christian Pimentel, presented at Lulú Tasting Bar of the Colonial City of Santo Domingo and in March 2018 it was presented again in Jenny Polanco Project art space. He is currently one of the curators selected to work on the curatorial accompaniment to the artists selected in the 27th. Eduardo León Jiménes Art Contest 2018. Dominican architect and curator, master's degree in History of Art and Visual Culture, focus on visual studies at the Universitat de València, Spain. Participated in the first version of the Curando Caribe program managed by Centro León and Centro Cultural de España in Santo Domingo. Founding member of Locus_colectivo whose objective is to promote the participatory design of Dominican cities, through which has managed two Dispatchwork interventions in the country. In 2016, was part of the curatorial team for 26 Concurso de Arte Eduardo León Jimenes; developed the Listen and Draw curatorial project at Casa Quién gallery. She is an associate writer in the Dominican architecture magazine, Arquitexto. With her master's thesis The glass cavaletes of Lina Bo Bardi. Deletion of the gender in the exhibition space was a lecturer at the 2nd Dearq International Symposium of the Universidad de los Andes (Bogotá). As part of her master's program, she did professional internships for 6 months in the curatorial department of the Museo de Arte Moderno de Medellin, Colombia. Selected by the Arquitexto in its 100th edition, within the 22 emerging architects of the Dominican Republic. Professor at the Contemporary Art Diploma: creation and management in La Escuela de Diseño Altos de Chavón. She is currently Coordinator of Visual Arts and Exhibitions at Centro León. Kriston Chen is a freelance graphic designer who makes books and websites in Trinidad and Tobago. He graduated in 2010 from Parsons The New School of Design in New York with an Associates degree in Applied Graphic Design. He also holds a Masters in Public Health from Tulane University in New Orleans. His work has been published and mentioned in ARC Magazine, Small Axe Journal, Caribbean Beat, and Caribbean Review of Books. He is also the co-founder/director of Sticks In De Yard, a stilt-walking/moko jumbie project in Trinidad and Tobago, and also Douen Islands, a digital publishing and performance project exploring new ways of reading in the Caribbean.